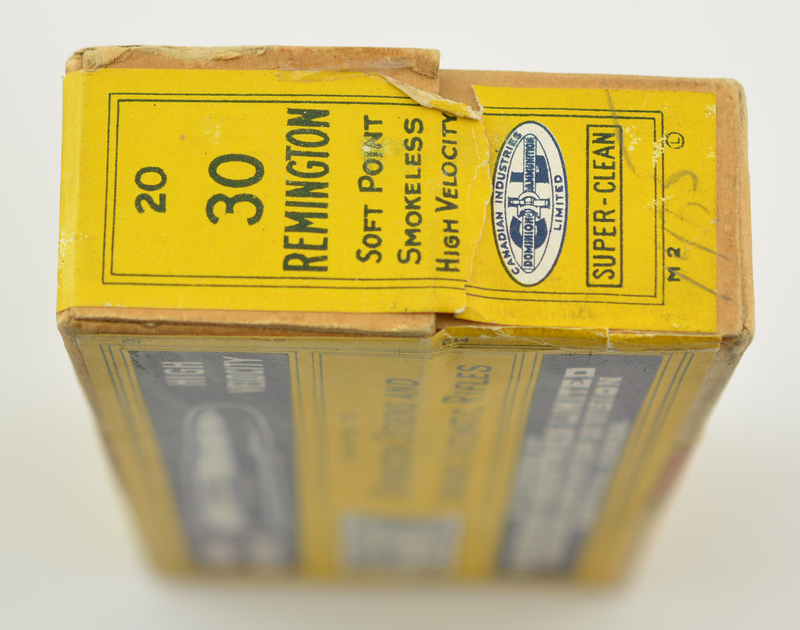 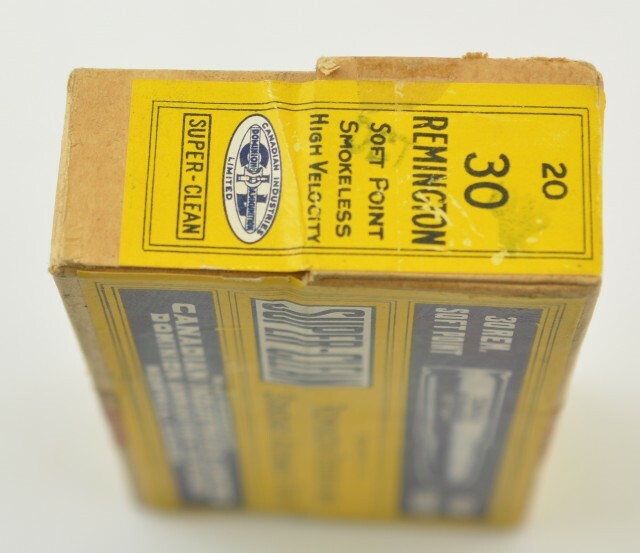 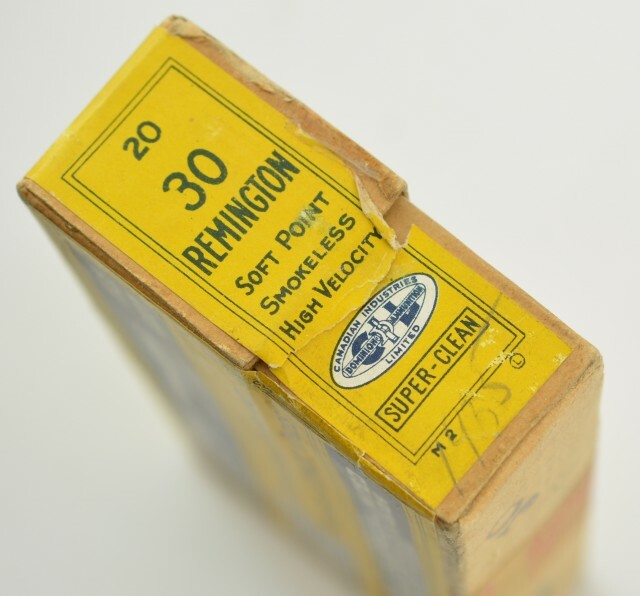 Description: 30 Remington Dominion Cil box from the Oct 1935 production run. This sealed box is pencil marked 1935 and rubber stamped oct 1935 on the better part of the factory reference collection that escaped destruction-All seals remain in place-built for the Remington, Stevens and the ill-fated standard automatic rifle. 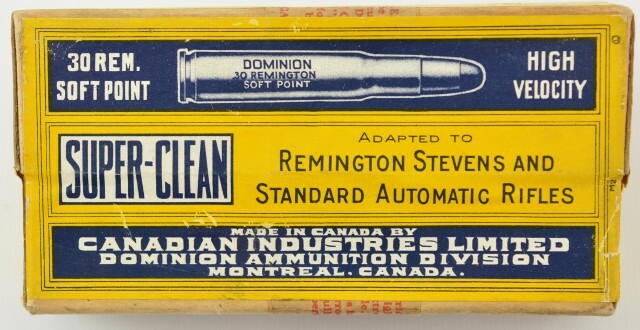 A scarce collector grade box.